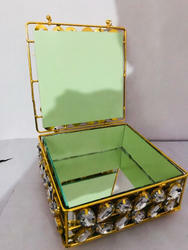 In order to keep pace with never ending demands of clients, our company offers Lac Beaded Box. This box can be used for keeping bangles and other jewellery. This can be available in different designs and colors combinations. 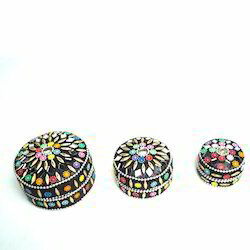 We are one of the most reliable companies in this domain and are into offering Handicraft Beaded Box. Bead Work box in the size 4 × 6 inches..... Can be made in any size.